Could you explain to our readers what role an editor serves for a collection such as this one? Of course! I decided on the theme and then reached out to our eleven fabulous authors. They each sent me a brief, paragraph-length story pitch to approve before they started seriously researching and writing, to make sure that we had depth and diversity in our stories. Then I worked with our acquiring editors at Candlewick to do one round of edit letters (big-picture questions on things like plot, stakes, setting, character, and voice) and one or two rounds of line edits (sentence-level edits to make sure that nothing is confusing, the prose flows well, the setting is vivid, and the character motivations are clear). As we got notes from the copyeditor and proofreader, I sent those to the authors as well and sent back their changes. In general, I was responsible for everything from reminding them about deadlines to sharing the cover and marketing plans. What inspired you to put together this collection of stories? I loved editing A Tyranny of Petticoats and wanted to organize another anthology of feminist historical fiction and fantasy. When I cast about for a theme, I hit on the idea of being radical - which Webster's defines as "very different from the usual or traditional" -- girls who were outside the norm in their communities, whether by virtue of their race, religion, sexuality, disability, neurodivergence, or the profession they were pursuing. So much of the history we study in school is about straight white men. I feel strongly that every girl should be able to see herself reflected in history, too! Is The Radical Element connected to your previously published collection, A Tyranny of Petticoats? I think of them as companions. Tyranny focused on being badass and brave in bigger, more obvious ways. We had stories about sisters running a saloon during the Gold Rush in Alaska, about ferreting out a spy during the Civil War, and about a bank robber during the Great Depression. The heroines of The Radical Element are no less badass, but the stories are about smaller, more personal turning points. What might girls throughout history have to sacrifice to remain true to themselves and their beliefs? Where do they explode tradition, and where do they decide to embrace it? How did you select the authors featured in the collection? I reached out to authors whose work I admire. Some of them had written historical fiction before (Meg Medina, Mackenzi Lee, Stacey Lee, Erin Bowman), and some hadn't (Sara Farizan, Anna-Marie McLemore, Dahlia Adler), but I had faith that they would do it beautifully. 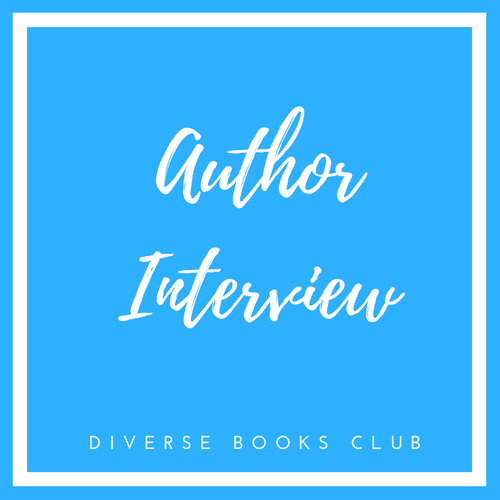 I specifically reached out to authors who might be interested in writing about, for instance, being second-generation immigrants, or Latina, or Black, or Chinese American, or Jewish, or neurodiverse, because they share those identities. What message(s) do you hope readers take away from the collection? I hope readers will be inspired to ask whose perspectives are missing from history, and then seek out those perspectives. Stories of women - especially queer women, women with disabilities, and women of color - are too often erased. We hear you have a new collection that's just released! Tell us a little about Toil & Trouble! Yes! I co-edited Toil & Trouble: 15 Tales of Women & Witchcraft with Tess Sharpe. Among others, we've got stories of a modern bruja who uses social media to connect with her astrology clients; a midwife accused of witchcraft in the Salem era; a "redneck Gothic" about a priestess who lays the dead to rest; an eerie coven in the woods who seek revenge on men who have assaulted them; a butcher's daughter who gets gory revenge on the bullies at school; a magical theatre visited by a churel; a mountain witch who refuses her assigned soulmate because she's in love with her female best friend; and several stories of sisterhood and family curses. I may be biased, but I think the collection is beautiful and brutal and so empowering. Why do you think it's important to have diversity in literature? Can you recommend any of your favorite diverse titles to our DBC readers? I think every person should be able to see themselves reflected back in the stories they read - and that it's important, now more than ever, for us to have "windows" too -- to read stories about people who don't share our identities. Three of my favorite books this year are: Finding Yvonne by Brandy Colbert, which is a beautiful and nuanced and deeply feminist novel about a young Black violinist figuring out what to do about an unexpected pregnancy; The Poet X by Elizabeth Acevedo, a gorgeous novel in verse about a Dominican American poet at odds with her very strict mother; and Monday's Not Coming by Tiffany Jackson, a heartbreak of a book about a missing Black teenager in DC from the point of view of the best friend who's desperately looking for her.